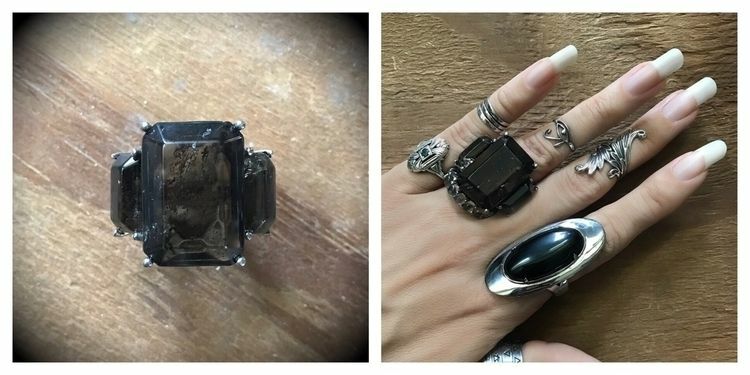 Just released a very limited edition Jötunn Ring in Smoky Quartz. This smoky quartz has me completely taken aback. A sacred stone amongst the druids and a fixture on the birthplate of Scorpios born in October; these smoky quartz are untreated and ethically sourced. I am honored to be able to work with them. Thank you life! Happy Week's End and Happy Full Moon 🌕 Weekend!